The Hyperponic™ CropTower indoor grow system allows for full management and control of the grow, reducing the risk of natural hazards, eliminates pesticides and creates and all around better, high potency product. All crops grown using the Hyperponic™ patented aeroponic grow software and hardware system means they are fully managed, controlled and tested to create consistent, high quality products, day after day. The Hypergrown™ seal on wholesale and consumer products give all members of the supply chain confidence that the product they are holding has been grown to the highest quality standards. We call it our “Good Housekeeping” seal of quality. 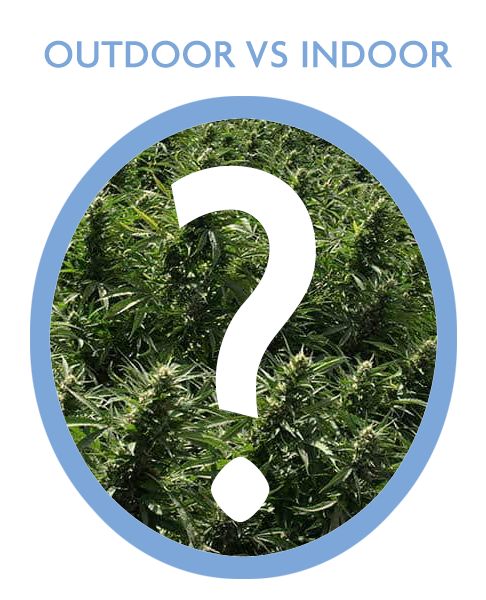 Outdoor growing risks have not been properly evaluated with regards to ensuring a consistent and quality supply for human and medical use. Wholesalers and retailers have large risks, and therefore obligations to ensuring quality raw materials that are free from molds, aphids, heavy metals and pesticides should be of the utmost importance. The inherent risk of infected crops for all of these health risks should be driving growers indoors. As consumers become educated about product sourcing and the various governmental organizations begin setting purity rules, the move to mitigate these risks will be paramount. Plus, every outdoor farm in the country harvests at the same time which means by the time June comes around, the quality of the product’s actives (terpenes and cannabinoids) has dropped significantly and therefore the product is not as potent. Often, plants are at many different growing stages which means at certain times of year, these plants may not be able to mature enough to maximize the cannabinoid content. Another issue is often clones that are stressed due to their size and leaf yellowing. This is usually caused by weather that can cause late clone planting and stunted growth. In fact, the weather can cause quite a bit of clone death due to over watering from the rain. Outside grows also suffer from aphid infestation in the cloning process that continues outside and causes a large amount of damage to the plants which results in significant clone loses even after planting. Another significant issue is due to the farmland being used to grow other crops for many, many years. This will cause excessive heavy metals and pesticides in the resulting hemp flower from growing corn and soybeans on the land. Significant safeguards must be in place to prevent these elements for ending up in the products sold or consumed. Indoor growing has significant advantages for both the grower, investor and all participants in the supply chain, especially the end user customer. It allows for a controlled growing environment that is free from issues that affect quality and safety such as weather, molds, aphids, heavy metals, and pesticides. Until now, growing hemp indoors to compete with hundreds or thousands of acres outdoors was a fool’s errand. You could never build a facility large enough to provide enough biomass to make it economically feasible, much less highly profitable. Even with the current state of hydroponic rack systems, it would take a building of several hundred square feet to compete in volume and price. So a system had to be developed to maximize space indoors, automate the growing processes to reduce labor costs, recycle the water supply to drastically lower the water use footprint and bring pure, consistent, medical grade biomass to the supply chain. We’ve done that. Hyperponic™ has developed a system that provides a true competitive advantage. The CropTower™ Grow System is set of a 10′ tall integrated and technologically sophisticated towers that each hold more than 102 plants in less than 100 square feet. In Control: Our automated (yet human supervised) patented software and hardware systems gives us total control over the grow and the environment. From nutrition fed to the roots to the sunrise/sunset ability of our lighting systems, we not only emulate Mother Nature, we do her one better, by making all aspects dialed in to near perfection. In Supply: In one 40,000 square foot warehouse, a Hyperponic Grower can out produce the volume of a 100 acre farm. With a consistent and perpetual harvest in a controlled environment we significantly reduce material supply risk. In Quality: The system controls all aspects of the environment, from temperature and lighting to nutrients and harvest speed. Wholesalers, Distributors, Retailers and ultimately the end-user consumer will be able to identify crops and products produced by the Hypergrown™ Seal they will use on their products. With the Hypergrown™ Seal, consumers will know they can trust the products and the ingredient in the products they buy. From efficiencies in time and three dimensional space to a patented software, hardware and technology system to manage all key factors in growing, including nutrients, we deliver a consistent high quality, high CBD product to the marketplace. Becoming a Hyperponic™ grower enables you to use the Hypergrown™ trademark in your marketing, on your wholesale and customer products and shows that you are top of the line merchant selling only the finest quality products.